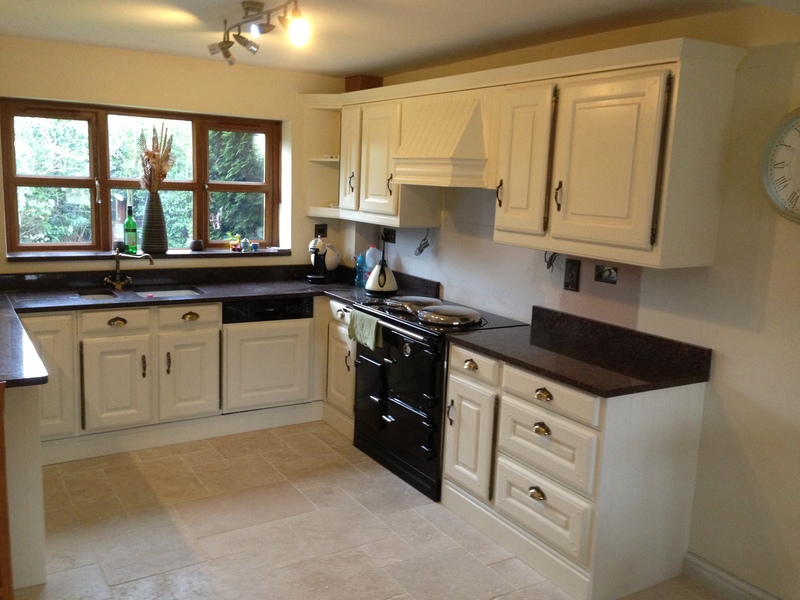 My most recent Traditional Painter project; a Hand Painted Kitchen in Worcestershire. 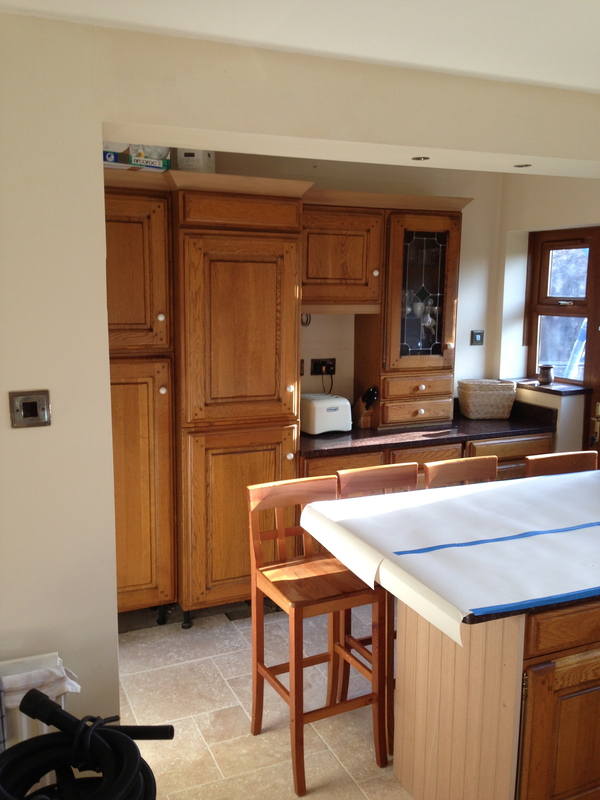 This kitchen is a rustic Avanti model that my client inherited when they bought their house a number of years ago. 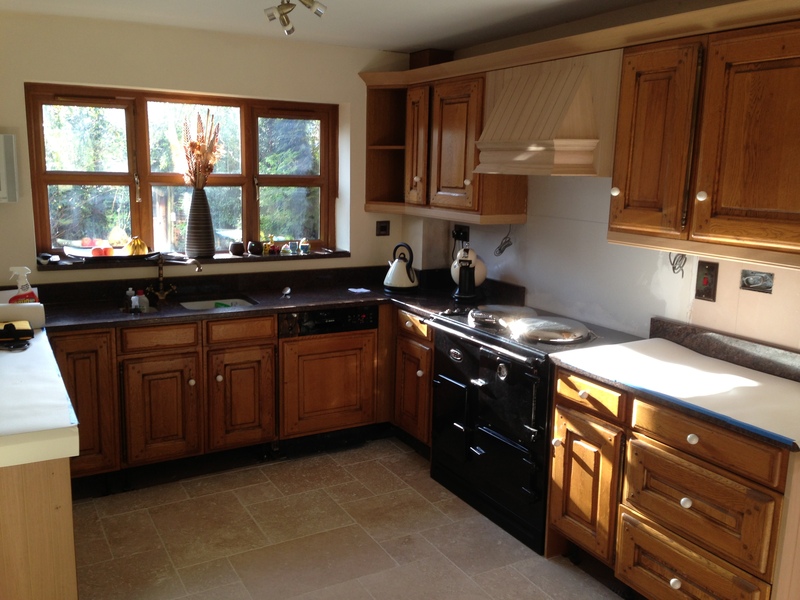 It has a well constructed frame and the doors are solid oak – after they moved a few units around, the layout works well for them… so, why buy new!? 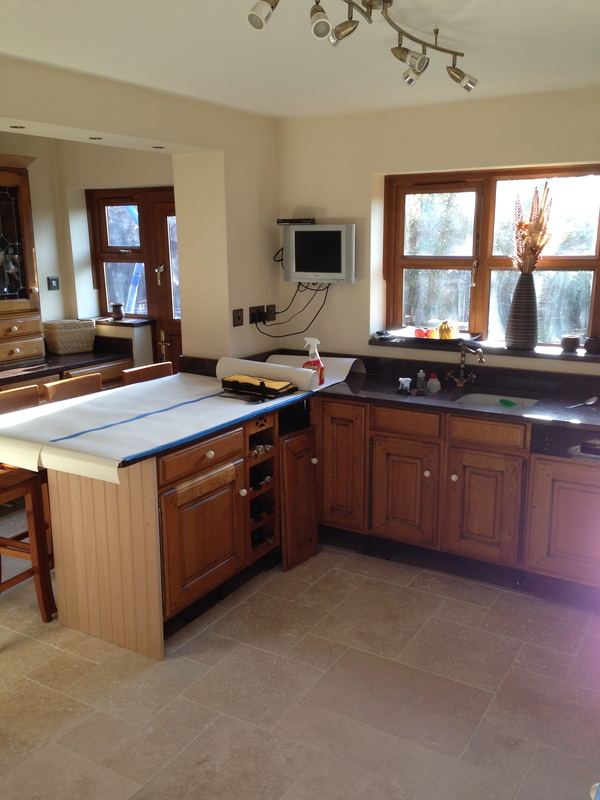 An average cost of a new solid oak kitchen of this size could be around £25,000+ (depending upon maker), a far more cost effective option is to have it hand painted – this is where I come in! After going through my usual routine of dust-free preparation and degreasing, the units were treated to two primer/undercoats of Pegaprim Isofix and two further coats of Tikkurila Feelings Furniture Paint, tinted, expertly by Holmans Specialist Paints, into F&B Tallow. 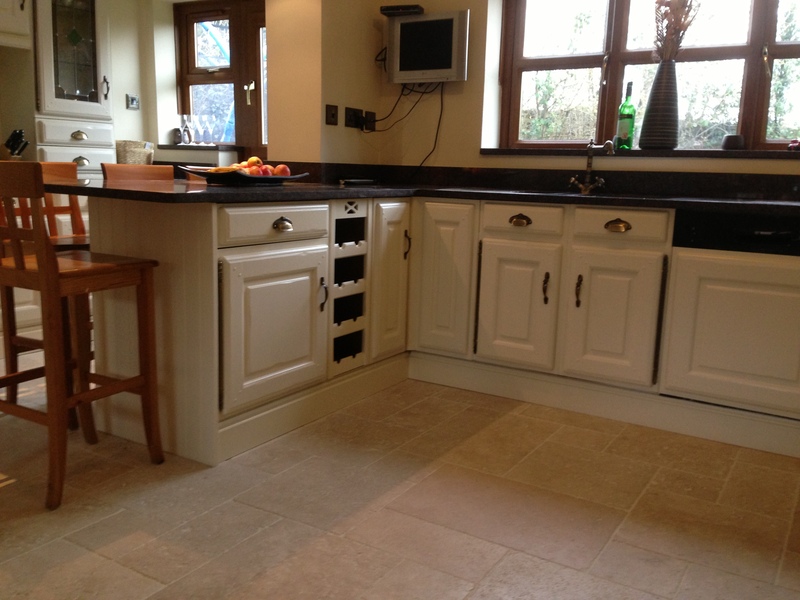 Both paint types were applied with *Axus Lime Wood Finishing Rollers and *Picasso 2″ Bull to give a flawless finish. 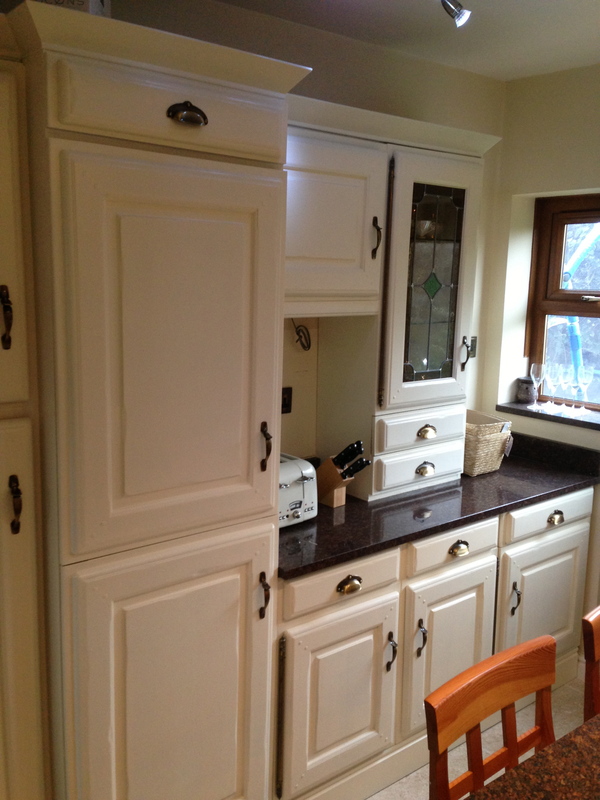 After I fitted new handles, that my client supplied, it looks a completely different kitchen… What a difference a week (or so) makes. This entry was posted in Uncategorized on March 22, 2013 by mjguestltdblog. Very impressed with Isofix – great opacity and super tough!